Cushion heats up to keep you warm. 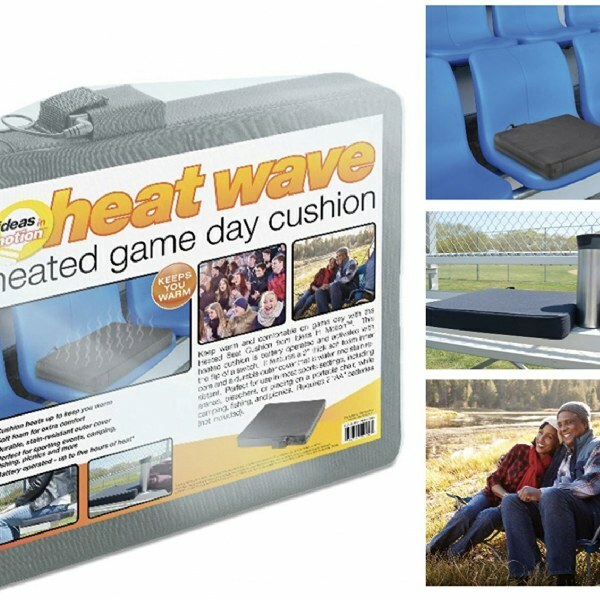 Keep warm and comfortable on game day with the Heated Seat Cushion from Ideas In Motion. This heated cushion is battery operated and activates with the flip of a switch. It features a 2" thick soft foam inner core and a durable outer cover that is water and stain resistant. Perfect for use in most sport settings, including arenas, bleachers or placing on a portable chair, while camping, fishing, and picnics.